Tired of reading only about petrol vehicles? Today we are talking about Hero Electric’s latest launch. The Hero Electric has launched the NYX scooter in India and the price is INR 29,990 (on-road price). This affordable electric scooter from Hero Electric would go on sale from the World Environment Day onwards (5th June 2016). The Hero NYX comes under the umbrella of super economy series and has got 4 other siblings in this category. Hero NYX scooter is the most affordable scooter in Hero Electric’s portfolio as well. The NYX electric bike also gets free 1 year RSA ( Road side Assistance). 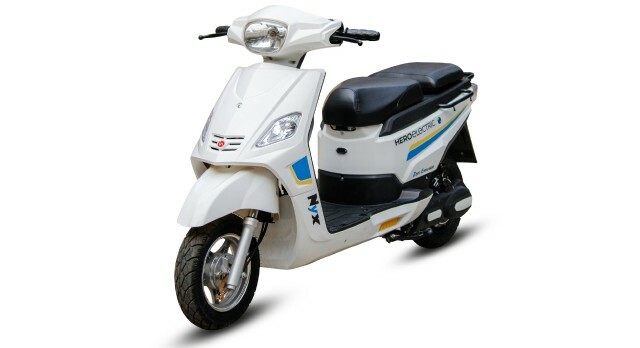 The Hero NYX Electric scooter is powered by 48v / 24 AH battery with a 46 magnetic poles motor which gives a riding range of up to 70 km and can attain a top speed of 25 kmph. NYX’s engine delivers an output of 250W and has a gradability of 7 degrees. The engine of the bike also gets a high torque controller. The current regulations for electric scooters does not require a driving license. Now, the government is planning to implement new guidelines that would make a Driving License (DL) mandatory to ride an electric scooter along with helmets.